Jamba Juice made a real song and dance about its newly launched competition with this fun experiential marketing campaign. To get the campaign off to a flying start, Jamba Juice and DanceOn, a network for professional dancers, threw a dance party on the beach. Celebrity choreographer Brian Friedman and the Flavahz Crew were on hand to demonstrate how it was done, setting the bar pretty high. 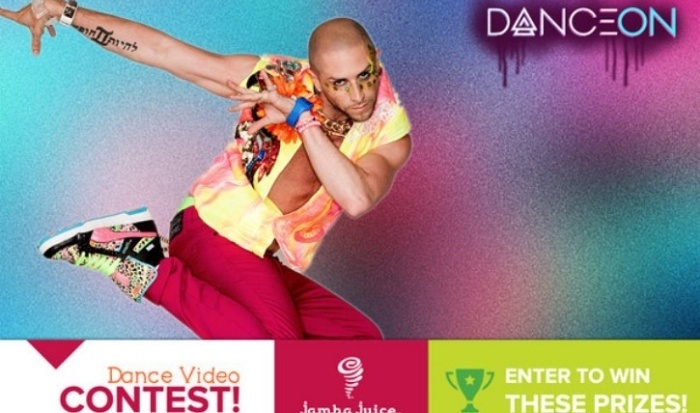 The juice brand is offering trips to New York City, Los Angeles in July and San Francisco in and a $100 Jamba Juice gift card for the best dance videos – what an incentive! Aligning itself with the current dance-off craze was a nice way for Jamba Juice to promote the health benefits of its drinks; driving the association between the brand and a fun way to keep fit. Fitness fanatics are great market, always looking for new products to accompany their lifestyle and a very clever choice of target audience for Jamba Juice. Adding a competition element to your experiential marketing campaign is a great way of upping your social media presence. The campaign is likely to go viral, and all thanks to user generated content. Did you see C&A’s Fashion Lock last week?